72" x 36" 96" x 42" 124" x 42" 144" x 36"
Free Standard Shipping on this item! White Glove installation is extra. 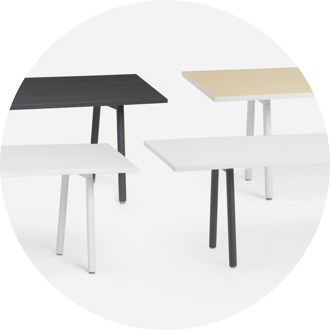 The Series A Table for 6 (71.5"L) ships in 2 boxes with a total weight of 152 lbs. The Series A Table for 8 (95.5"L) ships in 2 boxes with a total weight of 237 lbs. 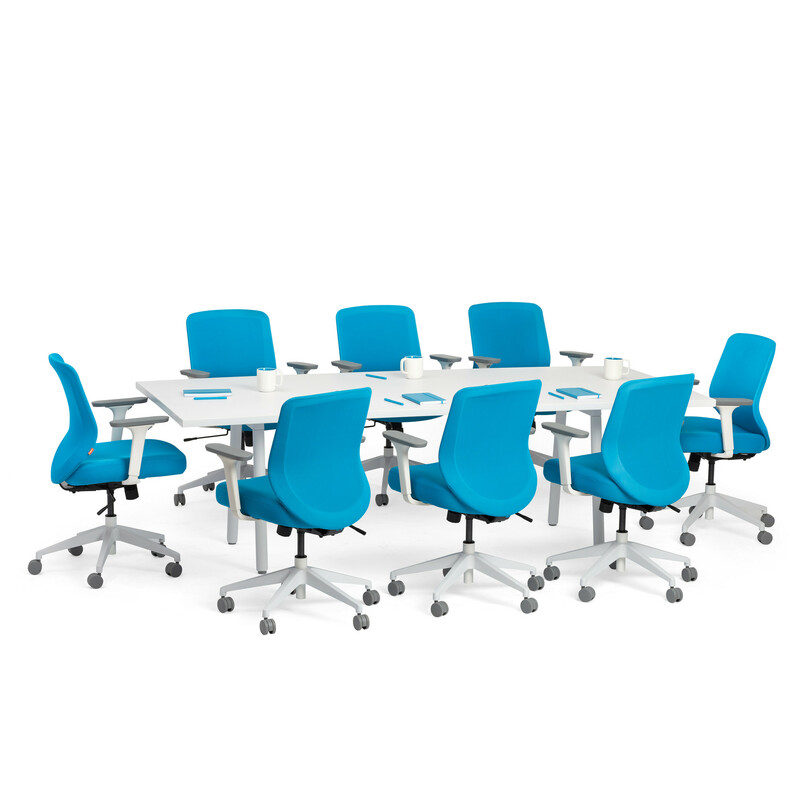 The Series A Table for 10 (124"L x 42"W) ships in 5 boxes with a total weight of 289 lbs. 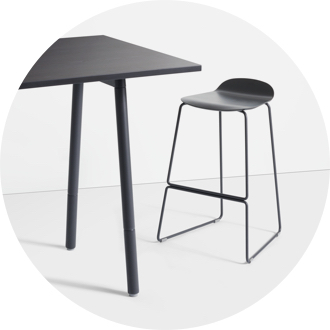 The Series A Table for 10 (143"L x 36"W) ships in 5 boxes with a total weight of 288 lbs. Wipe clean with soap, water and a soft cloth. Use a Scuff Removing Eraser to remove stubborn scuffs from the metal frame or laminate surface. 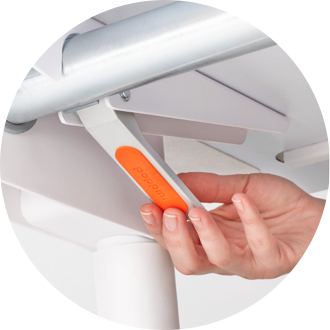 Our patent-pending Clever Lever makes building and reconfiguring a snap. Converts to a standing table completely tool-free with our Series A Leg Extenders. Available in 4 sizes and 3 finishes for the ideal fit in every room.